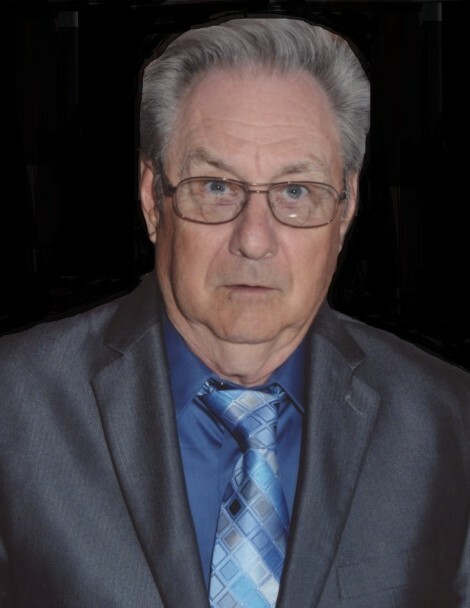 James J. Donovan, Jr. died February 10, 2019 in Norman, Oklahoma at the age of 75 years 11 months 24 days. Funeral Services are scheduled for 10:00 AM, Thursday, February 14, 2019 at Wadley’s Funeral Chapel. Interment will follow at the Lexington Cemetery, entrusted to the care of Wadley’s Funeral Service. James was born February 17, 1943 in Boston, Massachusetts to James J. Sr, and Frances L. (Moore) Donovan. He was raised in Boston, graduating from Christopher Columbus High School in 1960. James was inducted into the United States Air Force in January 1962, in Boston. On July 3, 1963 he married Patsy R. Morgan in Wichita Falls, Texas. James served in the Air Force for 20 years, and was honorably discharged as a Master Sergeant in January 1982. After retirement, James and Patsy moved to Lexington, Oklahoma. James went to work for Perfection Hy-Test as a machinist, retiring in October 2005. He enjoyed hunting, camping, and fishing. He spent a lot of time fishing with his grandfather for lobster. James loved playing Hockey. He was a member of many organizations like the NRA, SAF, CCRKBA, GOA, VFW, American Legion, and the Retired Enlisted Association. He loved spending time with his family, especially his grandchildren. James is preceded in death by his father, James J. Donovan, Sr; a sister in law, Joan Donovan; and brothers in law, Rob Cleary and Daniel Carter. Survivors include his mother, Frances Donovan; wife, Patsy Donovan of the home; daughter, Linda Landez and husband, David of Norman, OK; son, J. Michael Donovan and wife, Lori of Lexington; son, W. Billy Donovan and wife, Loretta of Cottonwood, AZ; grandchildren, Jasique Hughes, Joshua Hughes, Levi Vargas, Jaise Donovan, Lacey Vargas, Vanessa Donovan Lyles, Corey Vargas, Nicholas Donovan; 8 great grandchildren; 1 great-great grandchild; siblings, Richard Donovan, Paul Donovan and wife, Joanne, Robert Donovan and wife, Corinne, Nancy Crane and husband, Kevin, Janet Cleary, Mary Ellen Carter; and many other relatives and friends. Disabled Veterans National Foundation, Inc.